#297 The 2016 On Speed Festive Special. Ted Kravitz joins us to discuss Nico Rosberg’s shock retirement and who will get his drive. We play Dave Stebbings’ F1 Ultra Quiz. Zog reads The Night Before F1 Christmas. Plus F1 gags from Tommy ”Mini” Cooper. Real-time live cat sounds by Finn. 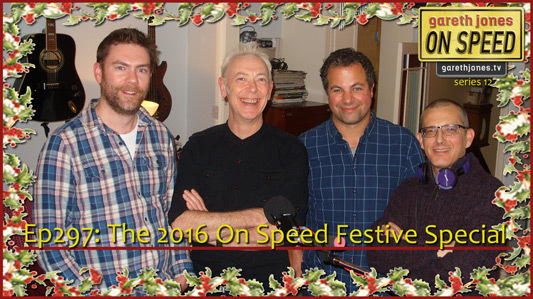 Gareth Jones On Speed would like to wish all our listeners a fab festive time, and we will see you for season 13 in 2017.